I loved the use of the time turner in this book and the way in which the plot resolved itself as a result. 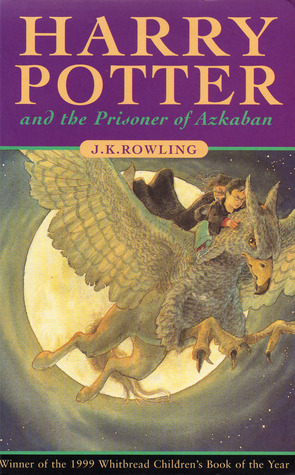 I love the new characters added to the story, the excitement of the quidditch matches and the ever looming presence of the dementors in this book which add tha slightly dark edge. I'd actually forgotten that voldemort didn't feature in this one at all as in my head he pops up yearly. So many thing set up for future books! I cannot wait to reread the next book! Not impressed at all with the film adaptation of this book. So much missing that it felt wrong and I was actually quite cross by the end of it! Love this book. Possibly influenced by the fact I have it on my ipod, so I listen to it a lot, but I think this is one of my favourites of the series. It's so fun that there are so many people re-reading this series on the blogs right now.. including myself! This is the first movie I thought that did the series justice!